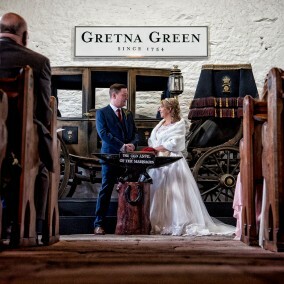 If you are looking to get married quickly, or in the next few months, then you will love our collection of late availability wedding packages here in Gretna Green and Gretna. 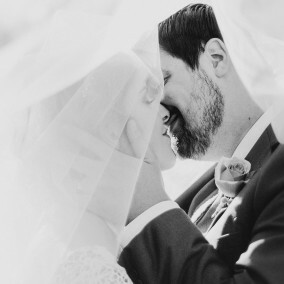 Whether you are looking to elope to Gretna Green, just the two of you, or plan a big family wedding for 180 guests, our range of all-inclusive wedding packages, that include everything from the ceremony to accommodation, wedding receptions to flowers are the perfect option for planning a last minute wedding. 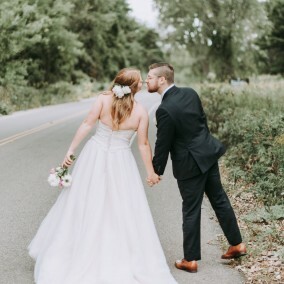 Our team of experienced wedding planners will take the strain out of planning your wedding and for those looking to get married on a budget, our low-cost weddings are the perfect solution. Request a copy of our brochure, to find out all about getting married in Gretna Green, our hotels, the Famous Blacksmiths Shop and the vast range of services we offer, or why not try planning a bespoke wedding package with our online wedding calculator. Choose your venue, reception, accommodation, flowers, cake, entertainment, wedding car or horse-drawn carriage and much more. Alternatively, why not give our wedding team a call on 01461 338441 or contact us here.